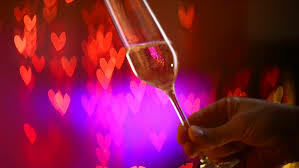 Valentine’s Day and Champagne; Champagne and Valentine’s Day – they go together like… well, like Valentine’s Day and Champagne. Go forth and celebrate this perfect partnership (with, perhaps, your perfectly-matched partner?) at Le Vignoble on Thursday 14 February, where the Masters of the Art of Tasteful Tippling will be exploring the beauty of bubbles. This sparkling event will offer guests the opportunity to learn all about how Champagne is actually made and taste six of the very best cuvées, taking in samples from small producers alongside some of the world’s most fabulous fizzmeisters. The fun starts at 7pm sharp and tickets cost just £30pp, but be warned – space is strictly limited, so advance booking is essential.